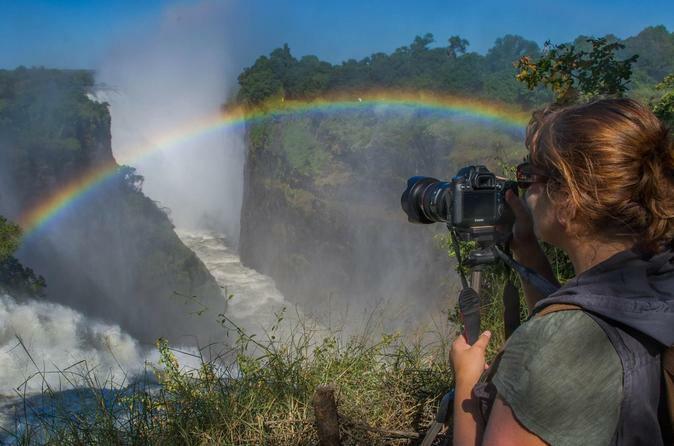 Capture your moment at Victoria Falls with this Victoria Falls 3-in-1 tour. Start the day with a sunrise photo session and Victoria Falls tour, then admire views and eat lunch at the Lookout Cafe, and finally take an open-air sunset cruise on the Zambezi River with Victoria Falls in the background. A professional photographer guide accompanies you in the morning to help you get the perfect shot, and guides with exceptional knowledge about the area ensure an informative and comfortable tour for the rest of the day.